Book reviews, event reviews, interviews with authors. Open to all! One of the historical strengths of poetry as a 'form' is its protean ability to mingle and assimilate different genres and sub-genres. Poetry is a hybrid. 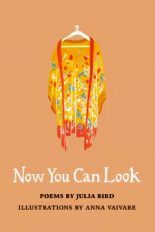 This is very clear in Julia Bird’s beautiful new collection, Now You Can Look, which mingles memoir, autobiography, biography, history, ekphrasis, prose poetry and fiction, alongside beautiful illustrations by Anna Vaivare. This mingling of genres is everywhere in Bird’s collection: the final poem of the collection, ‘I Wait for My A-Level Results,’ may well be partly autobiographical; ‘A Bomb Damage Report’ is ostensibly local history; ‘We Leaf Through Her Sketchbook’ sounds like a biographer – or biographers plural – retrospectively looking back on a female artist’s life; ‘The Artist, Aged 9, Plays a Parlour Game’ reads like a scene from a novel, about a fictional, early-twentieth-century female artist. If the collection as a whole mingles genres in this way, so do the individual poems: ‘Without Confiding in a Soul, She Goes to Get Her Hair Cut’ mingles the styles of biography and fiction, and even (possibly) autobiography. In this sense, the poems also intermingle characters across time – a fictional female artist from the early-twentieth century, with traces of real-life twentieth-century female artists, with the author’s (or narrator’s) own experiences, with an almost-trans-historical ‘you.’ ‘The Artist, Aged 9, Plays a Parlour Game,’ for instance, is not only about a female artist, but also addresses ‘you’ as reader, as if the liberation involved in the ‘parlour game’ not only applies to the young artist, but potentially to the reader too. In this respect, the final line of ‘Without Confiding in a Soul, She Goes to Get Her Hair Cut’ might stand as what Bird calls ‘a simultaneous double vow’ for the whole collection: ‘I don’t know you and I do.’ The reader does not know the characters in the poems, and yet does, at the same time. In such images, Bird’s poetry shows how artwork is not separate to everyday life, but entwined with it – and, moreover, bound up with its transience: in these poems, omelettes, snowmen, marrows are all short-lived moments of artistic beauty. Similarly, in the powerful poem ‘The Artist in a Field in November,’ the strange and momentary beauty of Guy Fawkes at the bonfire’s ‘peak, flames in his hair,’ comes to represent the transience of the artist’s marriage – ‘that something in her home is burning’ too. Perhaps, in its dynamic hybridity, this is what poetry can capture: passing moments, where images and life, moments of spontaneous artistic beauty and personal history, meet and intertwine, and then – just as quickly – vanish. Jonathan Taylor is an author, editor, lecturer and critic. His books include the novel Melissa (Salt, 2015), the memoir Take Me Home (Granta, 2007), and the poetry collection Musicolepsy (Shoestring, 2013). 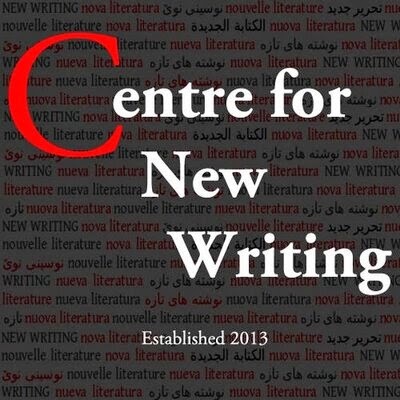 He is director of the MA in Creative Writing at the University of Leicester. His website is www.jonathanptaylor.co.uk. 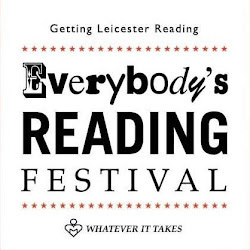 Welcome to our review blog, Everybody's Reviewing, which is run in conjunction with Everybody's Reading Festival in Leicester. As the title suggests, we invite reviews of books and events from anyone and everyone. All reviews © their original authors 2014. All other content © Everybody's Reading festival. Simple theme. Powered by Blogger.